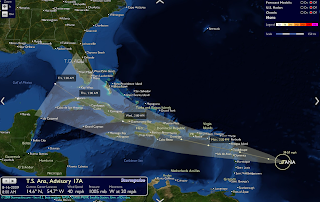 StormPulse - Still the best hurricane watcher on the Internet ~ Android Forever! Aside from the stupid, mercenary, alarmist news sites, there are several sites that will give you straightforward information about hurricanes. Since I live in Florida, these become important to me and millions of others at this time of year. And so once again I give the not to the one I consider the best of all. It's slick, easy to navigate, and just plain nice to use.